McGill University’s Desautels Faculty of Management has been granted the prestigious European Quality Improvement System (EQUIS) accreditation for a five-year period by the European Foundation for Management Development (EFMD). The EQUIS Peer Review Team commended Desautels for successfully meeting the recommendations put forward upon initial accreditation review in 2013, highlighting, in particular, the expansion of its facilities, the high quality of its professoriate and students, as well as the increased internationalisation of its educational activities and corporate connections. 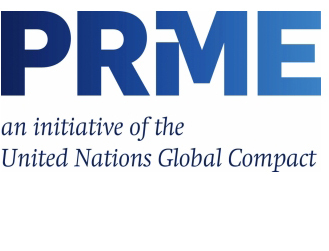 The Desautels Faculty of Management has become a member of the United Nations’ Principles for Responsible Management Education (PRME) initiative. The faculty joins leading business and management schools from across the globe in working towards the United Nations’ Sustainable Development Goals. The Principles for Responsible Management Education is the largest organized relationship between the United Nations and business schools, and is housed in the UN Global Compact Office. The Desautels Faculty of Management has been granted membership to the Graduate Management Admission Council (GMAC), a non-profit organization of leading graduate business schools worldwide. As a member, Desautels is recognized as a leader in graduate management education with insights and best practices to share that will further the GMAC mission to inform, involve and convene the global business education community around issues of interest.